Something Awesome For the Fall. Home› News › Something Awesome For the Fall. If you read this blog frequently or actually know me in real life, you know that I love beers. I am an IPA guy but have been trying to branch out, and try more of a variety of beers. The fall is a particularly great time to do this because the seasonal selections are just awesome. Normally my “go to” beer is the Southern Tier Pumking, perhaps the best pumpkin beer I’ve ever had. 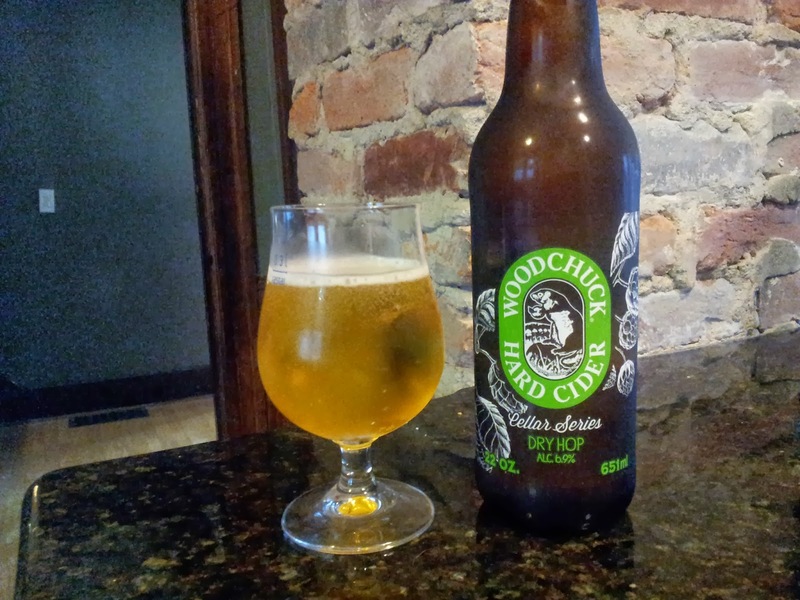 This year my favorite fall beverage (so far) goes to Woodchuck’s Cellar Series Dry-Hop. This is actually a hard cider, but its amazing. I’ve really branched out this year with trying ciders because there are so many varieties available, each more daring then the next. Some fall short in being any good, while some are just fantastic. This one is fantastic. The Cellar Series Dry Hop is incredibly crisp, in fact I found it to almost be on par with a sparkling wine, but with tons of flavor. The “Dry Hop” is definitely there but its not overly offensive, its actually perfect. The best part about this delicious gem, is that its only about $4.95 a bomber (and I bought it at a place that’s typically a little over priced). Definitely give this a shot before the fall is over with, it’s worth a taste! *The Woodchuck 802 really incredible as well. I have only seen it available as part of the fall variety pack and not as a standalone 6 or 12.